Earlier this month we reported on the PC-based MMORPG Forsaken World have a mobile version currently under development and slated for release soon onto Android. Well while we all wait for the game's release, or at least some sort of beta to get into so we can go hands-on with this game, Fedeen Games has released their first gameplay trailer for Forsaken World Mobile for everyone to check out. If you missed our previous coverage regarding Forsaken World Mobile, this is a mobile adaptation of Fedeen Games' PC-based MMORPG of the same name. There will be five playable classes players can choose from: Warrior, Assassin, Kindred, Mage, and Cleric. 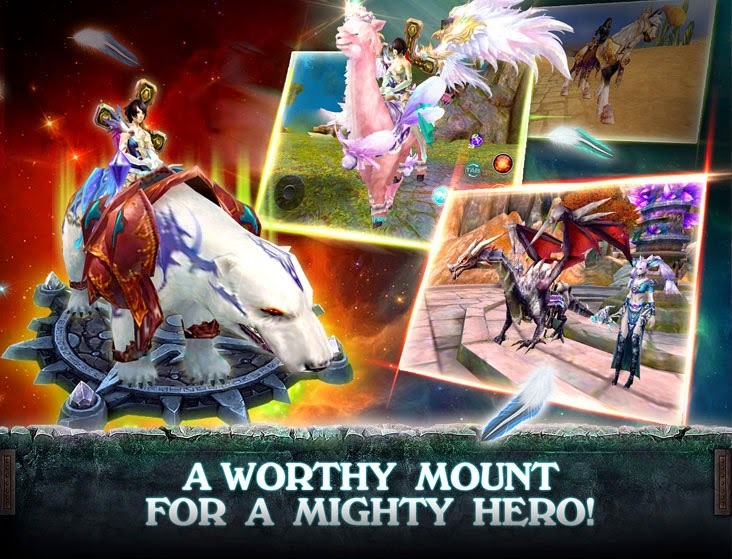 There will be all the features you would expect to find in a full-blown MMORPG including plenty of skills and abilities to unlock, plenty of quests to complete, real-time gameplay with other people, and even mounts are included in Forsaken World Mobile. In fact the only real difference between the PC and mobile version seems to be the mobile designed controls. The only thing we don't know is whether or not there will be cross-platform support between the mobile version and the PC version, or if mobile gamers will be on a separate server. Up until now we have only had a cinematic trailer to watch which didn't show much of the gameplay. Now we can actually see the gameplay that will be coming with Forsaken World Mobile and from what we can see, the game looks pretty solid visually and the gameplay does look promising. There is no official release date for Forsaken World Mobile as of yet. When one is announced, as well as any additional details, we will be sure to post an update. In the meantime, you can check out the new gameplay trailer in the video below.